Hearts & Science, the new Omnicom media agency in the US, is to launch in the UK with Frances Ralston-Good as chief executive. Scott Hagedorn, global chief executive of Hearts & Science, claimed its innovative, "data-driven" approach and "terrific momentum" will "power its entry" into the UK – the agency’s first office outside North America. Hearts & Science has topped the new-business tables in the US after winning its first two clients, Procter & Gamble and AT&T, worth an estimated $6bn of billings, in the past nine months. The agency has yet to line up a British client but wants Ralston-Good, previously chief strategy and innovation officer at Omnicom Media Group in the UK, to build a team to win pitches. Staff will be based in Bankside, Omnicom’s London headquarters, and are likely to be an equal mix of external and internal hires. 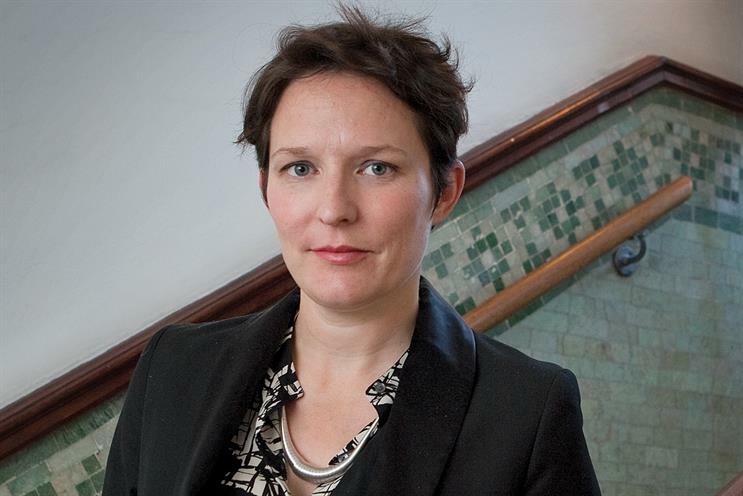 Philippa Brown, UK chief executive of OMG, said Hearts & Science could "transform the market" by recruiting talent from new areas outside traditional media such as shopper marketing and real-time data insight. Ralston-Good said Hearts & Science’s focus on data, insight and customer relationship management means the agency offers "something distinctive and definable which isn’t [just] a service promise" to clients. "The industry has had an imprecise way of measuring what consumers are doing," she said. "We need more precision." Ralston-Good is a media planner by background. She was managing director of Omnicom’s PHD in the UK from 2011 to 2013 and managing director of Naked Communications from 2008 to 2011. She previously spent a decade at PHD as a planner from 1997 to 2007, after starting her career at The Media Business Group, the forerunner of MediaCom. Ralston-Good, a history and politics graduate from the University of Warwick, was named the UK’s top media planner in last year’s Campaign Annual. Hagedorn said: "Coming off winning the two biggest US advertisers, Hearts & Science has terrific momentum powering its entry into the UK. "With her combined expertise in innovation and agency management, her energy and her reputation in the industry, Frances is singularly capable of leveraging that momentum, and translating our success in North America to the UK marketplace." Brown said: "As a market that has always been at the forefront of transformation, the UK is the ideal expansion market for an agency that is using the full spectrum of innovation in data-driven audience definition, media placement, shopper activation and content optimisation to deliver more value to clients. "Hearts & Science UK will transform the market by redefining the standard for consumer insights." Omnicom wants the agency to be its third, global media agency network alongside PHD and OMD, the home of Manning Gottlieb OMD and M2M in the UK. Hagedorn led the successful pitch for P&G in December 2015 when Omnicom snatched the account from Publicis Groupe in America. Hearts & Science formally launched in April 2016. Hearts & Science says it has been created for a new era of "personalised digital marketing" and is "designed to inform brand strategies with real-time data-led insights, combining expert media planning and buying capabilities with a full range of services that include shopper marketing, marketing innovation and content activation". The agency has already set up offices in the US, Canada and Puerto Rico.